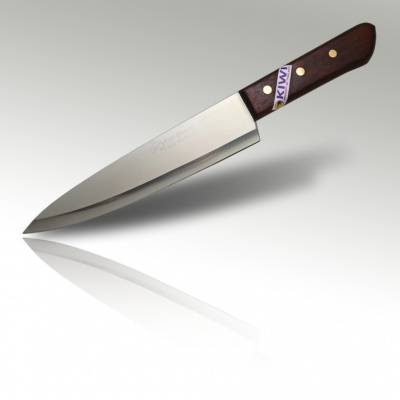 Kom Kom eight inch Chef's knife with hardwood handle. This is a high quality chef's knife with a wooden handle. The blade has a higher carbon content than the Kiwi 8" chef's knife. 288 - Kiwi Brand 8 inch Chef's knife with hardwood handle.